FOMO or LOMO: Which is Worse? Let’s back up a bit, do you know what FOMO is? Some research indicates this is a term coined around 1996 and relates to the online phenomenon that anxiety is caused by the idea that others are enjoying fulfilling experiences without you. Therefore, you feel the need to somehow be connected to everyone’s experiences or you fear you will be missing out. “FOMO,” the Fear Of Missing Out. While this term is not new, FOMO usage became more popular with the meteoric rise of social media. People who experience FOMO are active on social media, and are constantly bombarded by photographs, posts and status updates of friends who are out actively doing something and having some type of experience. The cure? Get offline and go create your own experience, duh. In business terms, LOMO is defined as “the Lack Of Mailing Out.” Yes, it’s a real thing. According to the USPS, mail volume has declined by 29.85% since 2006. But just because volume is down, that doesn’t necessarily mean that marketing mail is in decline. The digital world has reduced quite a bit of the activity in your mail box, but this actually represents an marketing opportunity. With fewer pieces arriving to consumers and businesses daily, this means that your marketing piece has a greater chance of being seen. 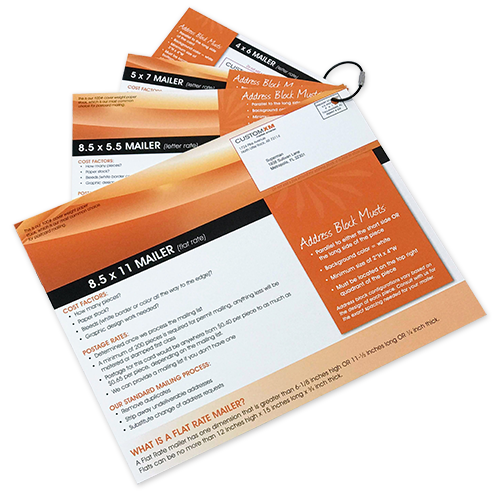 And when considering direct mail, it’s critical to note that mail response rates are on the rise. This knowledge is the first step in overcoming LOMO. Repeat after me – direct mail response rates are on the rise. Tangible – physically holding something makes us feel like its ours. And it’s harder to send something we value to the trash. But as part of the LOMO cure, I am not suggesting that you go it alone. Direct mail and digital marketing are a winning combination. Print works well with digital. There is a 28% better conversion rate when direct mail and digital ads are used together. FOMO may be unavoidable, but the simple solution is to take a few steps away from other’s experiences and enjoy your own. If you suffer from LOMO, we can help. This could be an even worse condition. 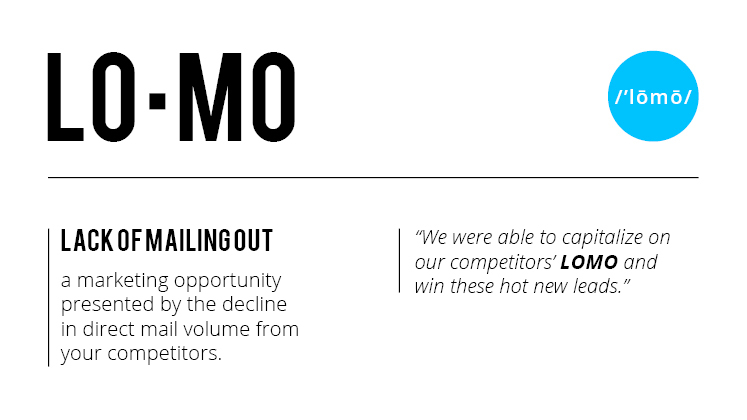 Lower sales, sluggish response rates and overall less engagement are side effects of LOMO. Take the first step, contact us or click the button below and we’ll mail you the nifty Direct Mail tool pictured above to help you decide what type piece is right for you.